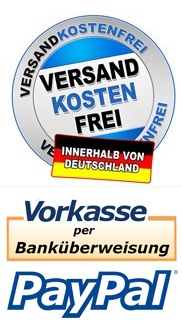 Dieses Blitzgerät bietet Ihnen alle Funktionen für professionelle Ergebnisse. 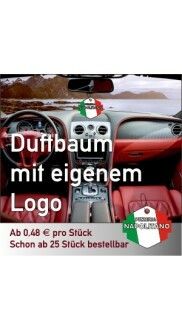 Sämtliche Funktionen wie der Canon 600 sind bei diesem Blitz gegeben. 1. 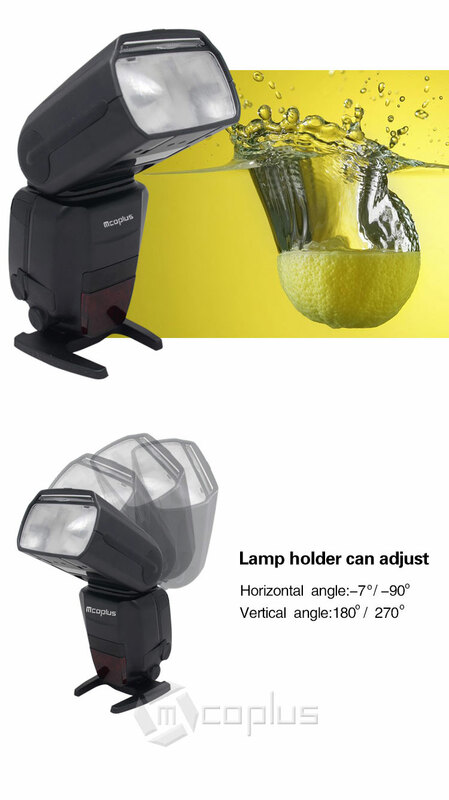 The set-top ETTL flash: install it on the Canon camera to achieve automatic flash photography. 2. 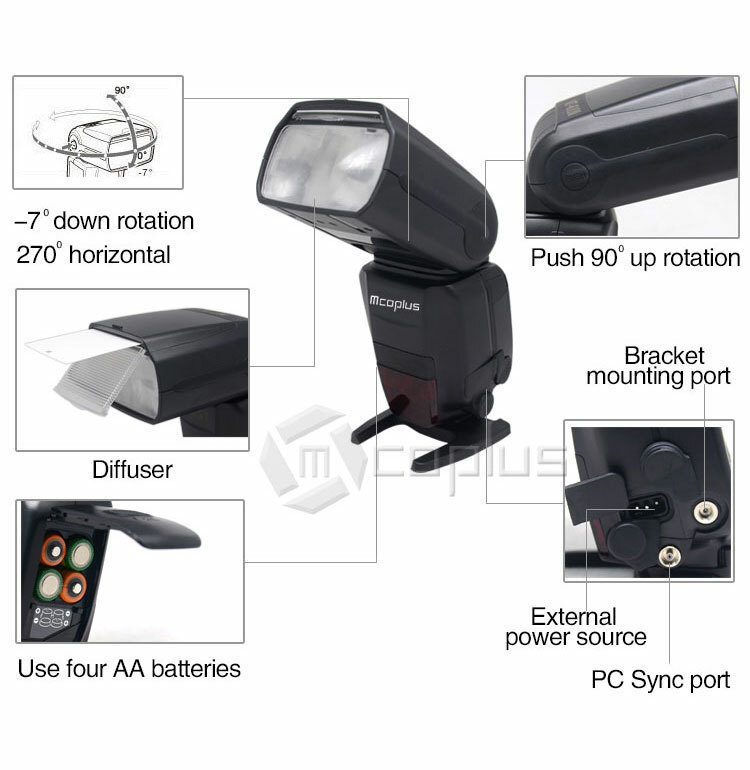 Optical signal SLAVE functions: wireless remote M mode flash (optical pulse). 4. 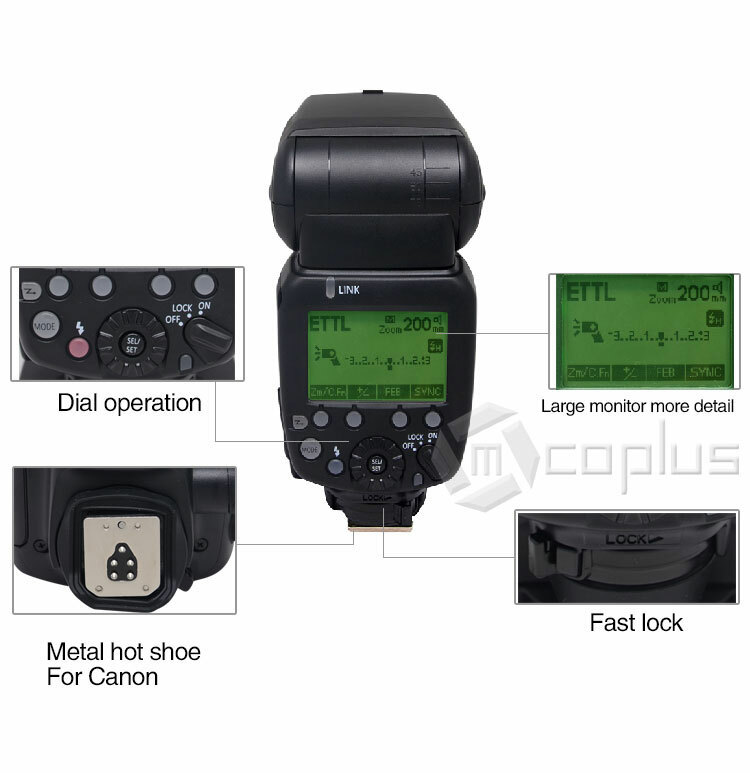 Automatic zoom function, flash zoom position can be back and forth with the change of the focal length of the lens. 5. Supporting the access to the Canon menu. Recycle time: Quick flash less than 2s, ordinary flash less than 3s. 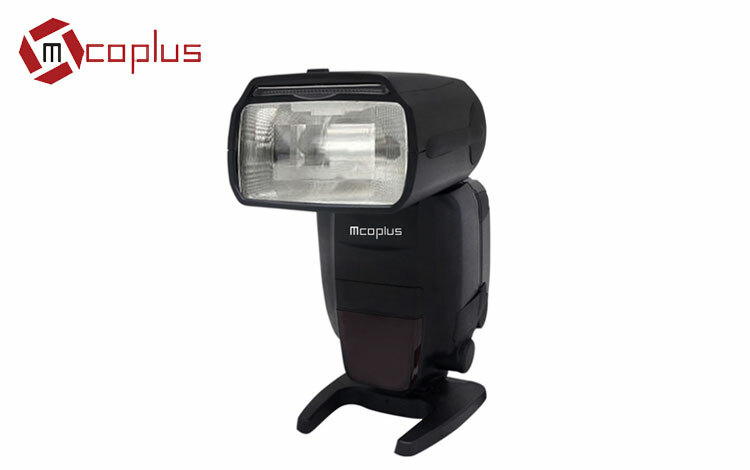 Automatic flash: Set the flash to ETTL mode, can fully automatic flash photography. Light trigger slave unit (optical pulse): Press button, set the MT600c to slave, there are threee choices SLAVE Canon/SLAVE S1/ SLAVE S2. The set-top flash: Press [MODE] , switch to ETTL, M, RPT mode, the installed camera can be triggered flash. High-speed sync: From the camera menu, set the auto FP icon turn to “on”, after set the auto FP, your camera can use any shutter speed. 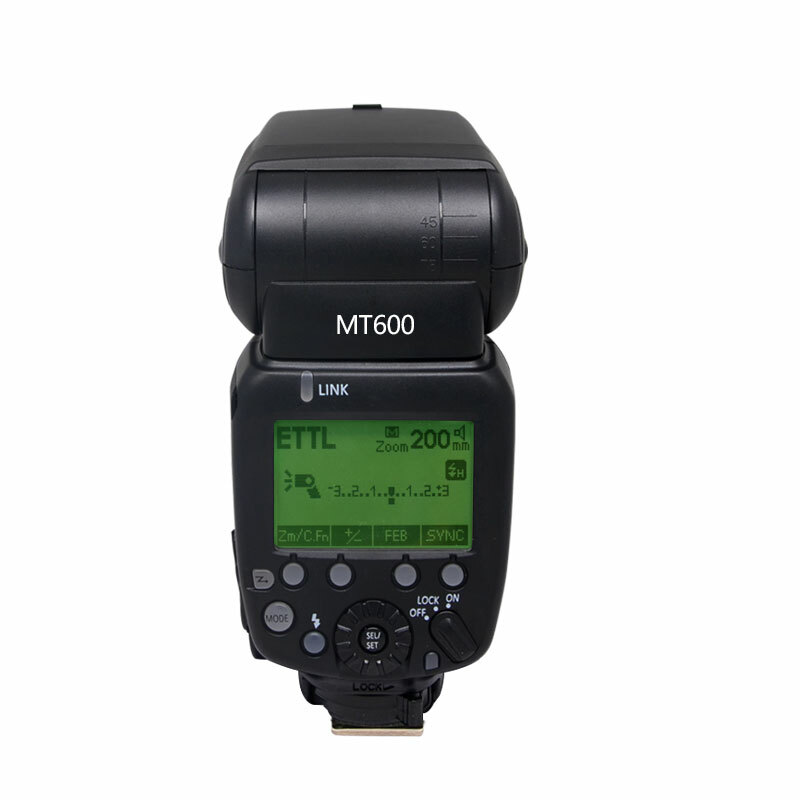 MT600C flash as a set-top use, comprehensive support ETTL function. 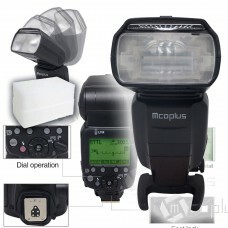 As off-camera used, only support wireless manual mode flash, but no TTL functions. 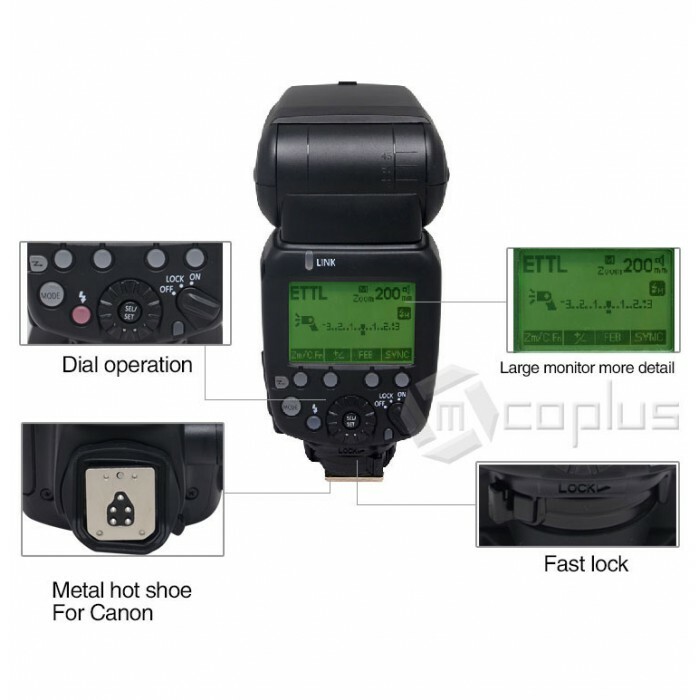 All off-camera mode, SLAVE Canon/ SLAVE S1/ SLAVE S2 support high speed with step M mode flash. To prevent degradation and damage of the flash head caused by overheating, please do not continuously flash it for more than 20 times. 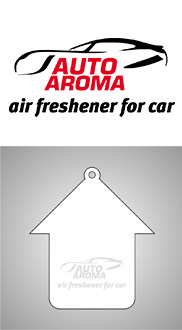 After 20 times, cool it at least for 10 minutes. If you use it more than 20 times in a row to continue with a short interval repeated flash, the security function may be activated to limit the flash. 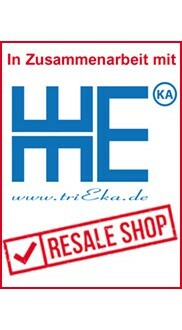 In the restriction period, the recycling time is automatically extended. If that happens, please cool the flash for at least 15 minutes.